This southern California city is where to go if you want pirate ships and panda bears with a side of sunshine. 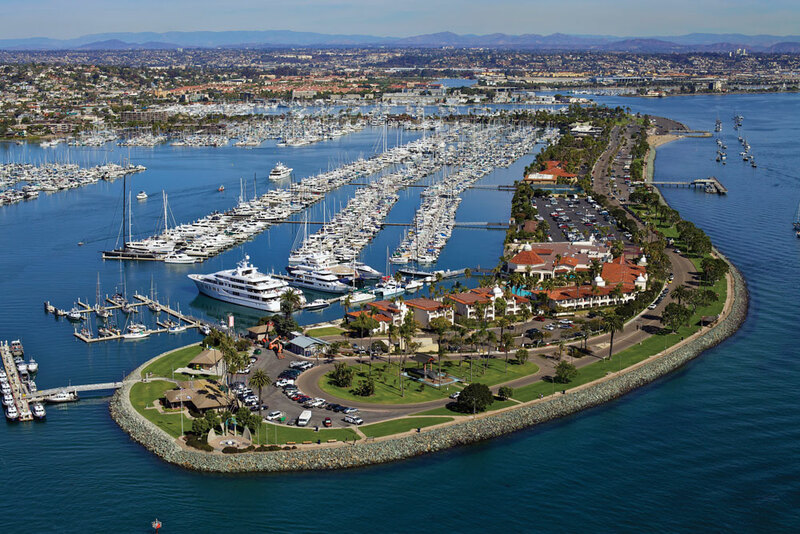 Nestled around the shoreline of the Pacific Ocean in the southwest corner of California, with an average annual temperature of 21C, San Diego is a hot spot (literally) for Calgarians in search of some sun. But the city offers visitors more than just a tan, with its flavourful fusion of Mexican and Californian cuisines and a wealth of attractions – from its world-famous zoo to a sailing-ship museum – to make you feel like a kid again. After a few days in San Diego, even more adventures await in the nearby coastal town of La Jolla, a sleepy village where you’ll find outlandish flora and fauna and enough eccentricity to let you leave reality behind. Whether you’re overindulging at an out-of-this-world taco joint or exploring the same cartoonish streets Dr. Seuss once roamed, your inner child will have more than enough to do in this So-Cal destination. The Birch Aquarium at the Scripps Institution of Oceanography at University of California, San Diego offers the chance to get an up-close-and-personal look at real-life Nemo and Dory. (Technically, they’re clown anemone and blue tang fish, but their reputations precede them, as evidenced by the crowds gathered around the glass singing, “Just keep swimming, swimming, swimming …”) One of the world’s oldest non-profit research organizations in the world, the Scripps Institution is dedicated to conservation, as well as tapping into the secrets of the Pacific. With more than 3,000 fish and invertebrate specimens, there’s bound to be something to make even the most stubborn grown-up crack a smile. If you want to search below deck for fabled century-old ghosts, or live out a long-held fantasy of fightin’ and carousin’ on the stormy seas, then the Maritime Museum of San Diego is the place for you. 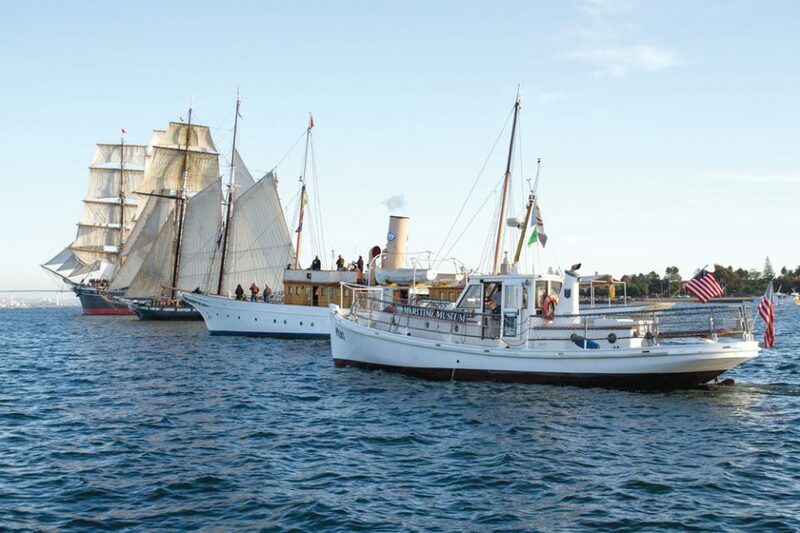 There are plenty of seaworthy experiences here: you can explore an authentic Soviet submarine from the Cold War, tour the oldest active sailing ship in the world, or check out the HMS Enterprise, one of the vessels used in the filmPirates of the Caribbean: On Stranger Tides. As every local will tell you, there’s no better way to see San Diego’s skyline than from a kayak out on the bay. Kayak rentals can be found on almost any beach along the 110 kilometres of coastline, but the unbelievable view from the waters just off Shelter Island is worth a special trip. It’s not uncommon to catch glimpses of the diverse costal wildlife, like a low-flying pelican soaring right beside you or a sea lion resting on a buoy. If you decide to do a guided expedition, it’s best to reserve ahead of time, especially in the summer months, as kayaking is a very popular pastime. 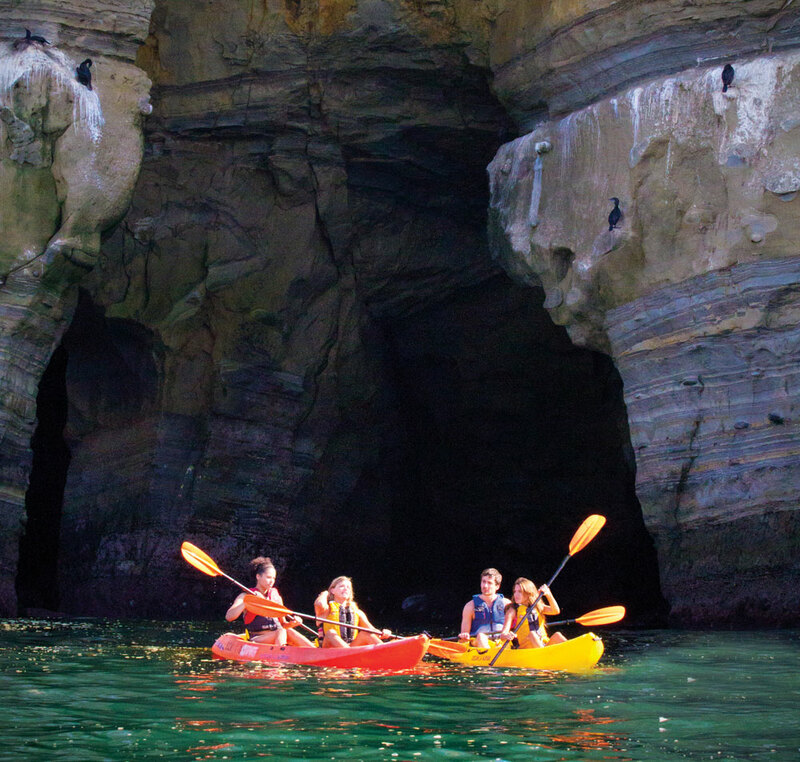 La Jolla Cove is known for its caves – in particular the Seven Sea Caves, a series of sculpted sandstone formations whose openings rest just above the water, and the Sunny Jim Cave, the only land-accessible cave on the California coast. The access point to Sunny Jim is located within the historic Cave Store, which has been around since the 1920s. The store sits on top of a man- made tunnel that leads guests, for a small fee, down 145 steps to the cave’s mouth. Looking out at the water from within, the surrounding rock of the cave has the distinct shape of a man’s profile. It became known as Sunny Jim Cave after Frank Baum, author ofThe Wizard of Oz, noticed a resemblance to a British cartoon character of that name while on a visit. As an artist and a writer, Dr. Seuss always carried an air of mystery. In your imagination, he probably lived in a dreamland of oblong pseudo-humans and upside-down rooms, but, in reality, the late Theodor Seuss Geisel lived in La Jolla village, where he has been immortalized at Legends Gallery. 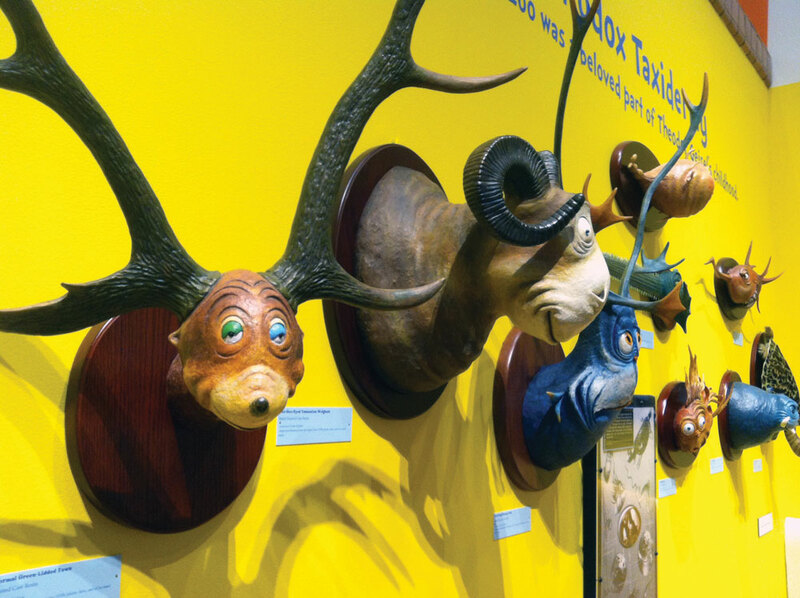 In The Secret Art of Dr. Seuss exhibit, you can explore the talents of the man behind The Cat in the Hat, including his lesser-seen (and somewhat risqu) illustrations and the sculptures of the Unorthodox Taxidermy collection, which brings the creatures of his imagination to life. Home to a slew of giraffes, Tasmanian devils and the largest koala colony outside of Australia, the San Diego Zoo, located within expansive Balboa Park, is a must-see for visitors of any age. Founded in 1916 by local resident Harry Wegeforth, the legendary zoo celebrates its centennial this May. 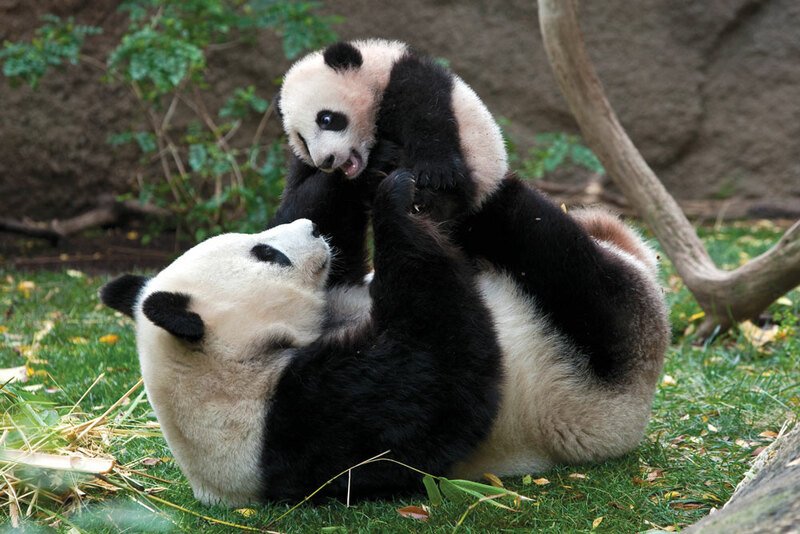 Arrive at sunrise for the Early Morning with Pandas tour to get a behind-the-scenes look at Bai Yun, the 23-year-old life-size teddy bear and matriarch of the zoo’s resident panda family, as she takes a bite out of her breakfast bamboo. With Mexico clearly visible just beyond the San Diego Bay, it’s hardly a surprise the local food culture involves a fusion of Mexican and Californian cuisines. Bracero, which opened in the summer of 2015, is a shining example of this style of cooking (the name means “one who works with their arms and hands” – a tribute to the Mexican men who work in the California fields). The rustic, yet modern design sets the stage for the menu of Tijuana-born chef Javier Plascencia. 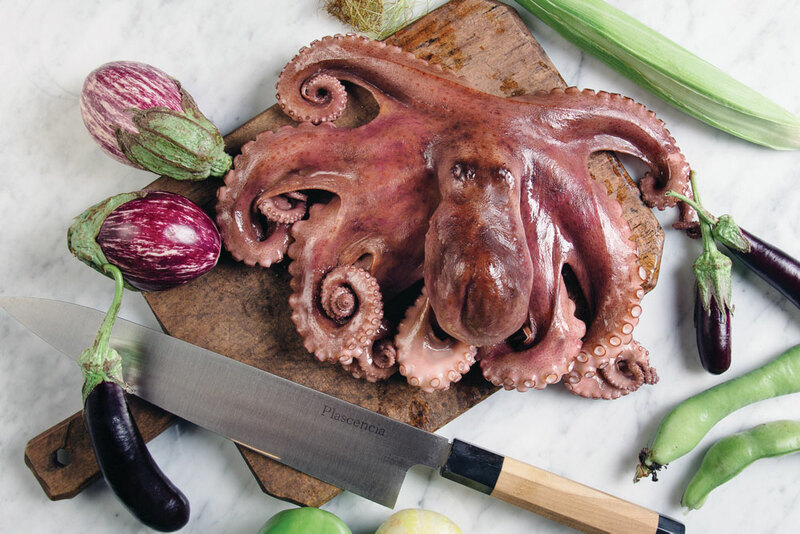 Tuck in to sublime seafood entrees, including albacore seared to perfection and beautifully presented (not to mention delicious) wood-grilled octopus. Bracero is located in San Diego’s Little Italy district, home to a bevy of trendy restaurants and a weekly farmer’s market. You’ll want to make a reservation, as there will most likely be a line out the door. With the mantra “Life is short. Eat awesome,” Galaxy Taco keeps it simple, while keeping its flavours bold – think Mexican street food with a modern twist. Galaxy, which opened last year, is the work of Trey Foshee, executive chef and partner at George’s at the Cove, an iconic La Jolla restaurant just a few minutes drive down the coast. The menu is based off of two staples of Baja cuisine: a wood-burning grill and house-ground masa. Galaxy’s tortillas are made from heirloom, non-GMO corn from Masienda in Mexico prepared with a custom-made masa grinder for tacos you won’t be able to stop talking about. At the Kona Kai Resort Spa and Marina, you can catch the sun setting over the sea while lounging on the balcony of your contemporary, beach-inspired room, listening to the sounds of live Spanish guitar music from the on-site Vessel Restaurant (a feeling akin to the days of eavesdropping on the adults’ conversation flowing out of the kitchen). The nautical-styled San Diego resort is decked out with distressed wood details, and the sea air will help you unwind. Step out into the courtyard to sip a cocktail under the cabanas, or play Marco Polo in the pool (they won’t judge). More than a century old, the Grande Colonial Hotel is like the centrepiece of La Jolla. Old-Hollywood architecture and European design flows throughout the property and its 93 rooms. Located right on Prospect Street, with its unique shopping boutiques, and just a short walk from the beach and the San Diego Museum of Contemporary Art, the historic hotel couldn’t be in a better spot. Inside its walls, you’ll also find the Nine-Ten restaurant where the seasonal menu is chock-full of fresh catches from the sea and produce from local, artisan farmers.